This week of home entertainment releases consists of heist comedy Going in Style (starring Michael Caine, Morgan Freeman, and Alan Arkin), tech thriller The Circle (starring Emma Watson and Tom Hanks), sci-fi comedy Colossal (starring Anne Hathaway and Jason Sudeikis), and the hit HBO miniseries Big Little Lies (starring Nicole Kidman, Reese Witherspoon, Shailene Woodley, and Laura Dern). Oscar winners Morgan Freeman (“Million Dollar Baby“), Michael Caine (“The Cider House Rules,” “Hannah and Her Sisters“) and Alan Arkin (“Little Miss Sunshine“) team up as lifelong buddies Willie, Joe and Al, who decide to buck retirement and step off the straight-and-narrow for the first time in their lives when their pension fund becomes a corporate casualty, in director Zach Braff’s comedy “Going in Style.” Desperate to pay the bills and come through for their loved ones, the three risk it all by embarking on a daring bid to knock off the very bank that absconded with their money. What makes Going in Style better than a film such as Last Vegas (which Freeman also stars in) is that the three leads are actually given something to do here. Caine, Freeman, and Arkin’s characters all have arcs and all have reasons as to why they want to pull off the ultimate bank heist. The film is directed and edited like a signature Guy Ritchie film with all its flashy transitions and coordinated syncs. At 96 minutes, Going in Style is a simple yet effective film in what it’s trying to do. The three leads refuse to phone it in, instead working well with each other and the rest of the ensemble which includes Joey King, Matt Dillon, Kenan Thompson, and John Ortiz. 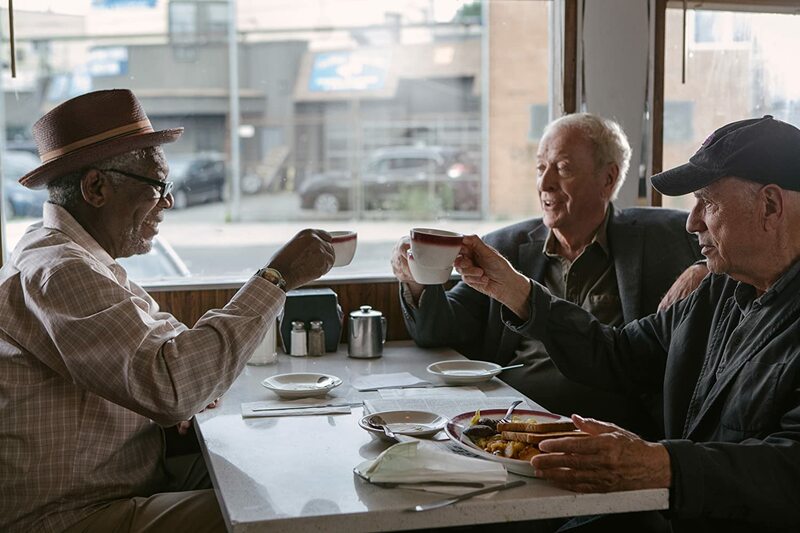 Featuring a nice blend of heart and humor, Going in Style is an easy and enjoyable watch and worthy of a rental. The Circle is a gripping modern thriller starring Emma Watson (“Harry Potter“), Tom Hanks (“Sully“) and John Boyega (“Star Wars: The Force Awakens“). When Mae (Emma Watson) is hired to work for the world’s largest and most powerful tech & social media company, she sees it as an opportunity of a lifetime. As she rises through the ranks, she is encouraged by the company’s founder, Eamon Bailey (Tom Hanks), to engage in a groundbreaking experiment that pushes the boundaries of privacy, ethics and ultimately her personal freedom. Her participation in the experiment, and every decision she makes begin to affect the lives and future of her friends, family and that of humanity. The drama series based on the novel of the same name written by Liane Moriarty starts off with a bang: Someone is murdered, but neither the victim nor the murderer are revealed. 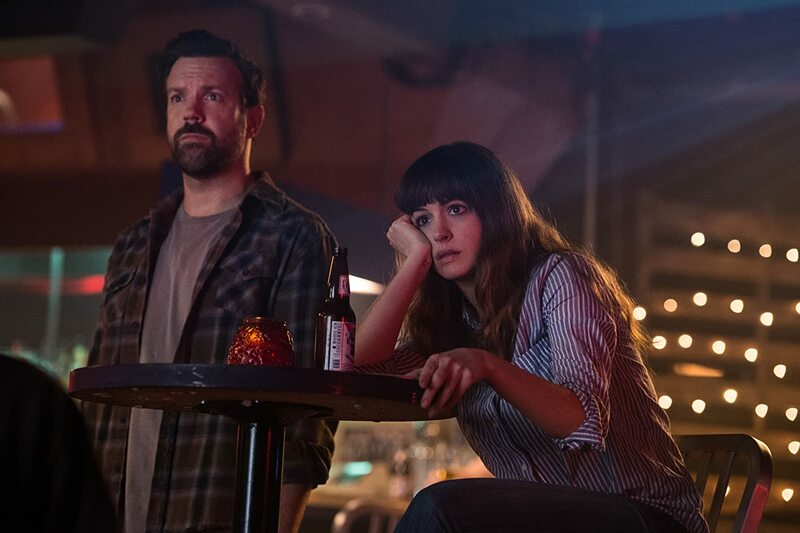 Season 1 is then told all in flashbacks, leading up to the trivia night when the murder occurred, and follows the lives of a few families in the town of Monterey. 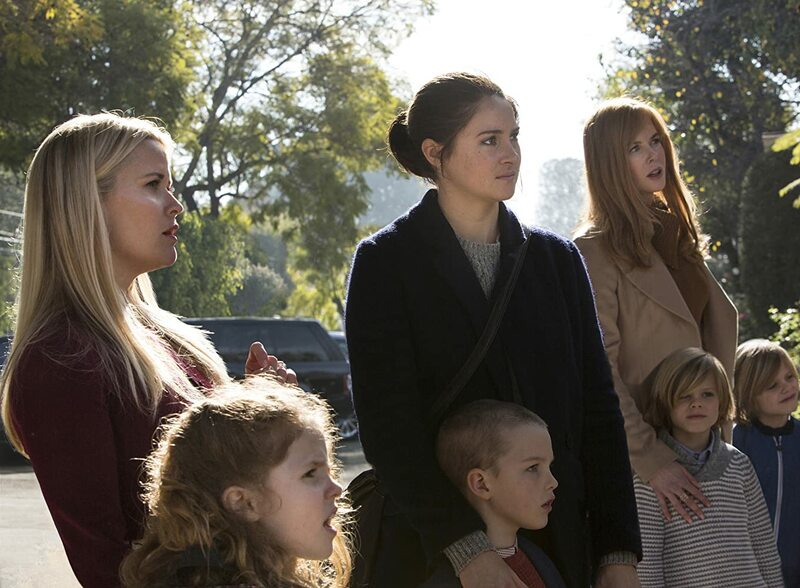 Madeline (Reese Witherspoon) is a wealthy and feared woman with a first-grade daughter and a teenage daughter from a previous marriage; Celeste (Nicole Kidman) is a retired lawyer and mother of twin sons; Jane (Shailene Woodley) is a young single mother who just moved to Monterey, for reasons unknown. As the season progresses, secrets are revealed and a shocking murder might finally make sense. Going in Style, The Circle, Colossal, and Big Little Lies are all available to purchase on blu ray/dvd as well as through streaming services such as iTunes, Xbox, and PlayStation.